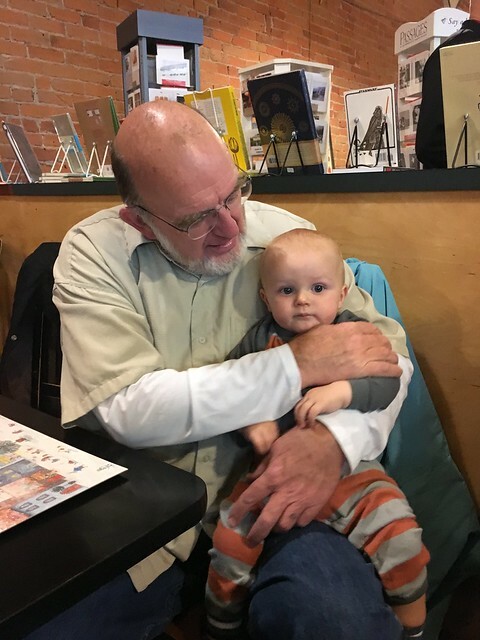 I split my time at First Friday tonight between two featured events. 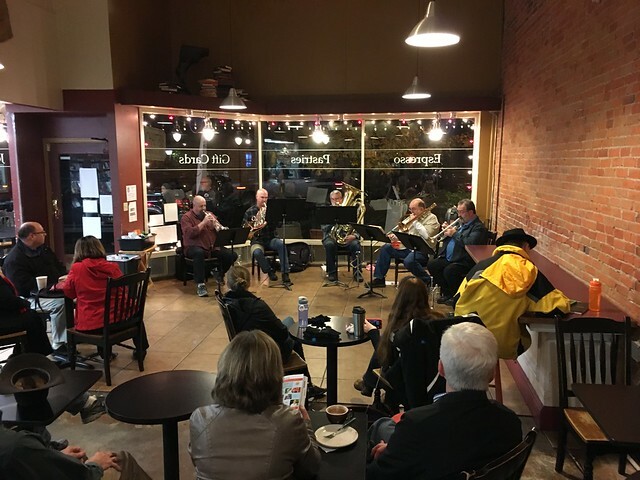 Newberg Brass seems to have a standing invitation to play Christmas music at Chapters every December First Friday. It was pretty much standing room only throughout the whole evening. On a break. The annual concert attracts all the local Macys/Williamses too. Loyal fans! Lincoln clapped after every song. 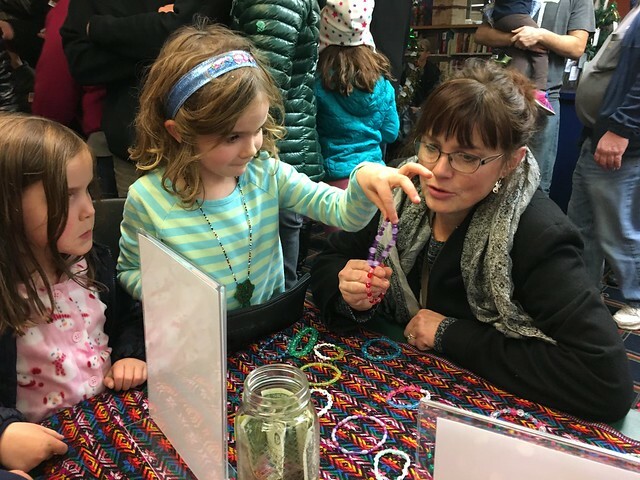 But the John Macy family was participating in the other featured event—a craft show at the library down the street. 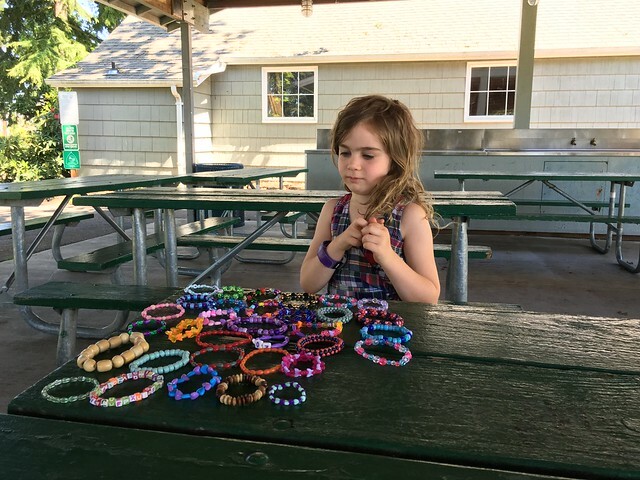 Granddaughter Sage was selling bracelets she and her friend Matea have been making. She is raising money for the 2017 Thanksgiving build in Juarez, Mexico. 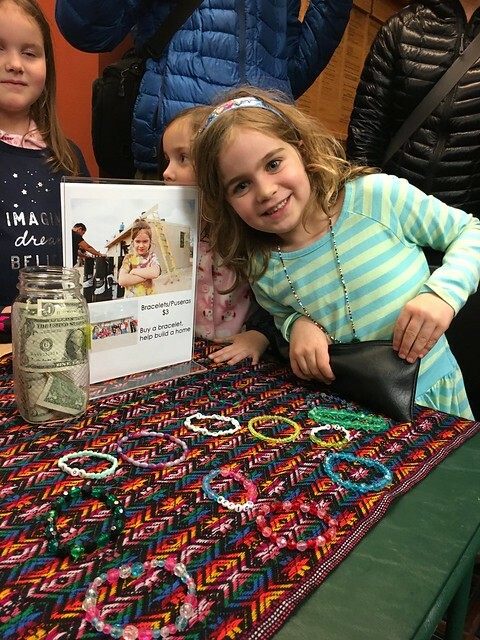 Buy a bracelet, help build a home. By the time I got over there, the selection had narrowed. But I found a plain white one bracelet and also one that spelled out J-U-A-R-E-Z–M-E-X-I-C-O. I’m gonna love wearing it. This isn’t the first time Sage has sold her bracelets. She raised money for this year’s build as well. She had all of these to display at our family dinner finale last May. 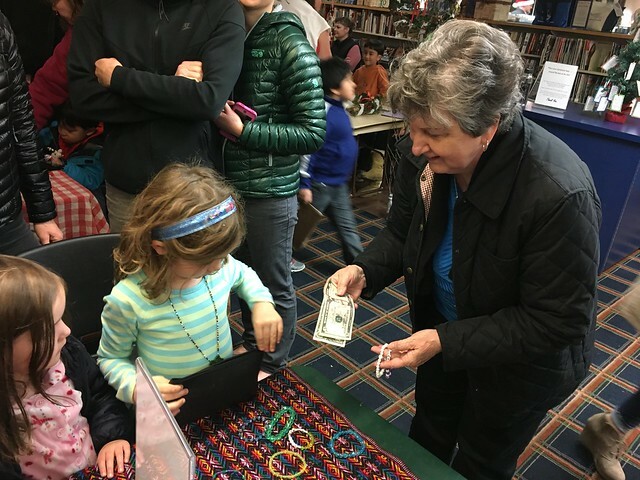 She even brokered the sale of bracelets to family members in Arizona (who wouldn’t want to buy Sage’s bracelets, and for such a worthy cause?) 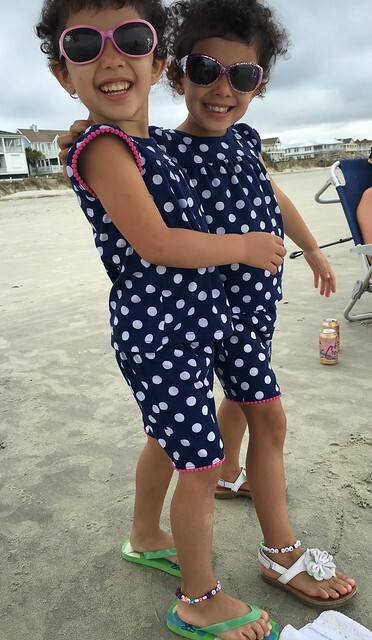 Two of those bracelets made their way to Virginia and onto the ankles of Beth’s twin nieces. Looks like our 2017 build has a good start toward full funding (around $12,000)! Thanks, Sage, and all you bracelet buyers out there.